And I’m not mad about it. My dad love french toast and he loves my grandma’s banana bread. I’m trying to go all out this year for my favorite guys. I realized this morning that for the next 3 weeks we have big celebrations happening around here. We have 3 birthdays, Father’s day and the end of school. I’m super excited about summer vacation but I’m also kinda scared. We have so many things to do this summer. We have to visit family, Robotistic camp and the all important BEACH DAYS. I think grown up on an island has weirdly made me kinda obsessed with visiting the beach. I remember as a kid going to the beach with my Dad before sunrise. He would wake me up super early and dragged me to the beach. I would complain as we walked but he would just joke around. I think he loved the sea more than I did. It was serene. It was mysterious. It was so much fun. So now that I have kids, I’m trying to be like my Dad. I want them to love the ocean as much as we do. I am so excited about building sand castles and hearing the waves. I love the beach. It is my happy place. But back to this french toast. Seriously I might never make french toast with regular bread again. 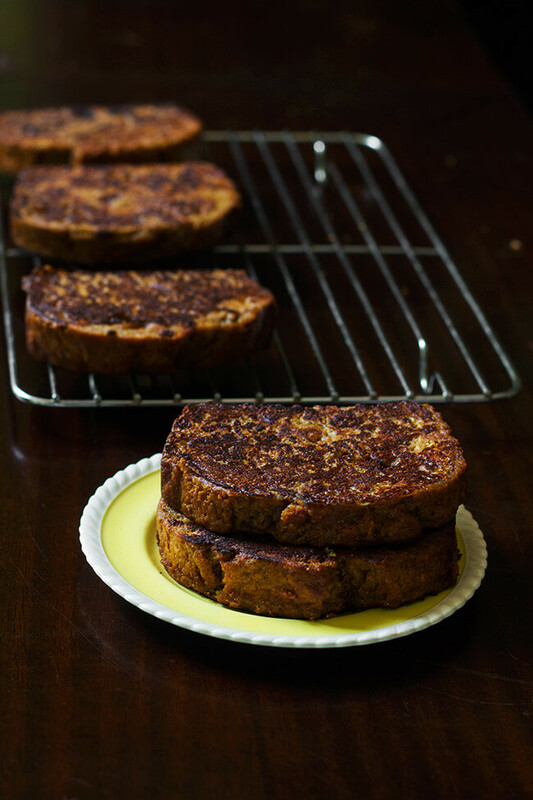 This has all the flavor of banana bread with the added crunch from being toasted. I can’t with the feels. I had this for breakfast then I made it again for lunch. No banana bread is safe when I’m around. I won’t be made if you had it for dessert either. I loves the bread!! Grab the recipe and make it anytime for any meal. Enjoy! In a shallow pan, whisk together the eggs, milk, vanilla, cardamom and cinnamon. Set aside. In a large nonstick skillet or griddle pan, heat the melted butter and oil over medium-low heat. One by one, dunk the bread in the egg mixture (turning to coat), allow to sit in the liquid for about 20 seconds on each side. Take them out of the egg mixture and allow excess liquid to drain off. Place them into the skillet or griddle with the butter and let them cook on the first side for 5 minutes, watching closely to make sure they don't burn. If they start to darken too fast, turn the heat down. Turn them over and let them cook for 3 minutes on the other side. Transfer the pieces to individual plates and serve with butter and syrup. Enjoy! I love banana bread. 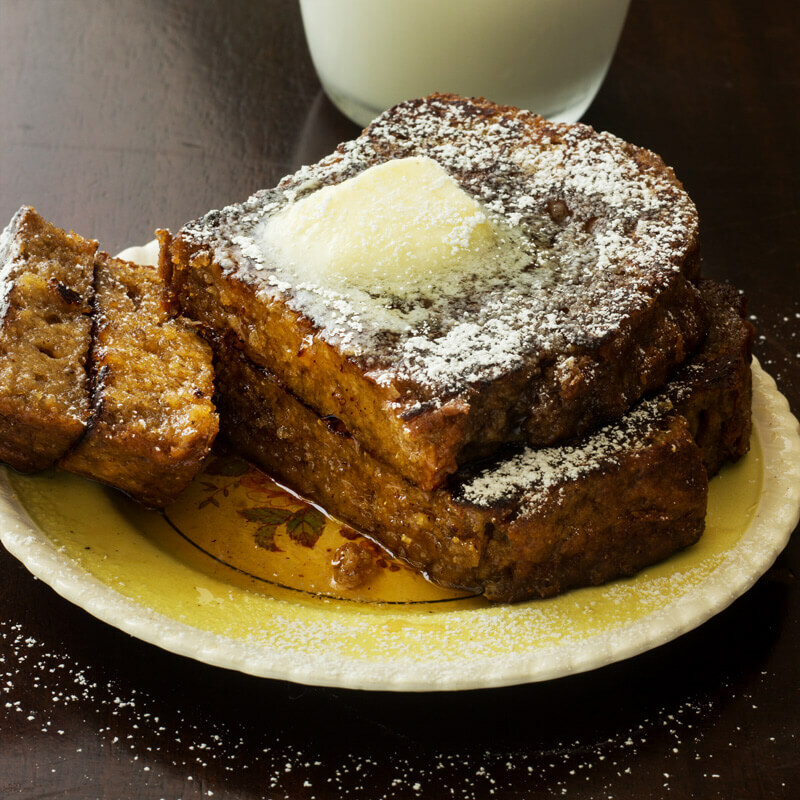 And banana bread French toast sounds amazing! Oh my gosh, this is such a brilliant and delicious idea!! 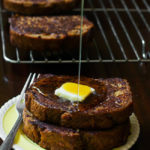 I love banana bread but have never thought to turn it into French toast! Definitely pinning this baby for the future! This looks amazing, I have never heard of doing it this way before! Very clever. Your other posts look so delicious too! Oh my…these are like perfection! What a brilliant idea! What!? 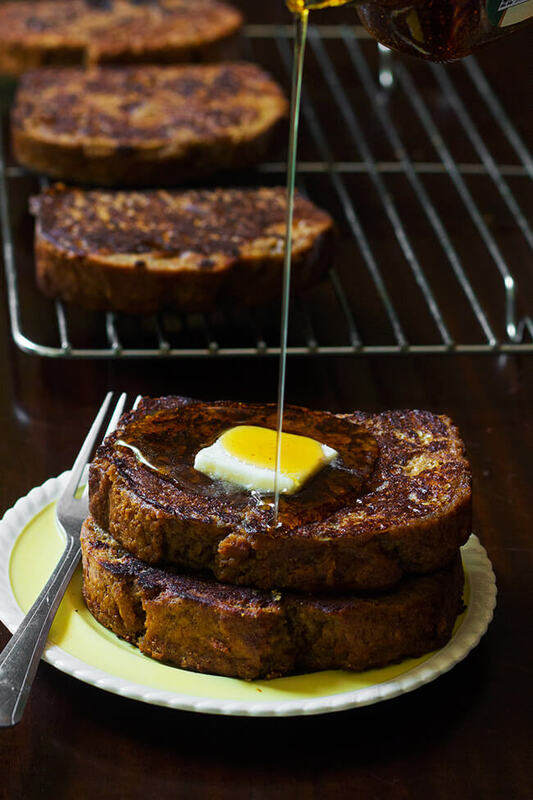 Banana Bread french toast! I did not know this was a thing! I have some over-ripe bananas just waiting to be bread, so I guess I know what I am making soon! This is making me want to get out of bed right now and have breakfast! Yum!! I loved your banana bread recipe so I’ll definitely need to try this! Il get my apron on later! These look so so good. Especially that maple syrup shot near the end. I need me some banana bread now! Wow! That looks amazing. I’m totally going to have to try it out! I am definitely making this. 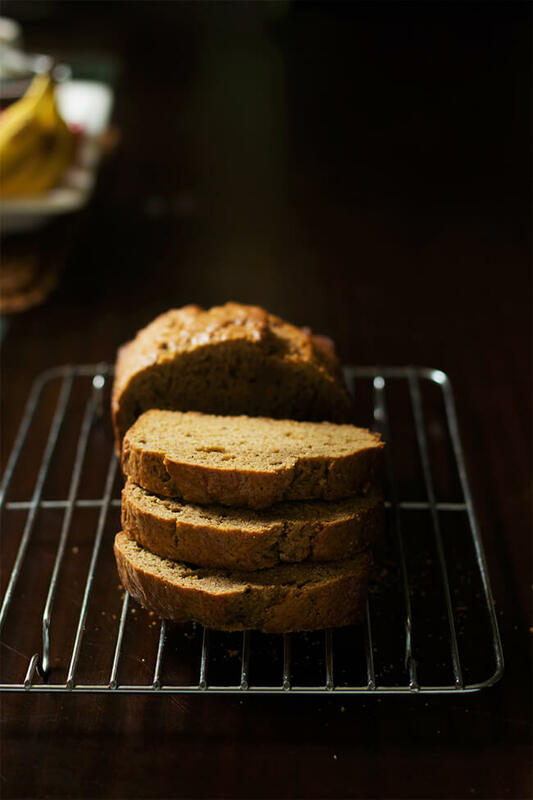 Love banana bread which I make with my son often. You can find a post on my blog if you want to check it out. 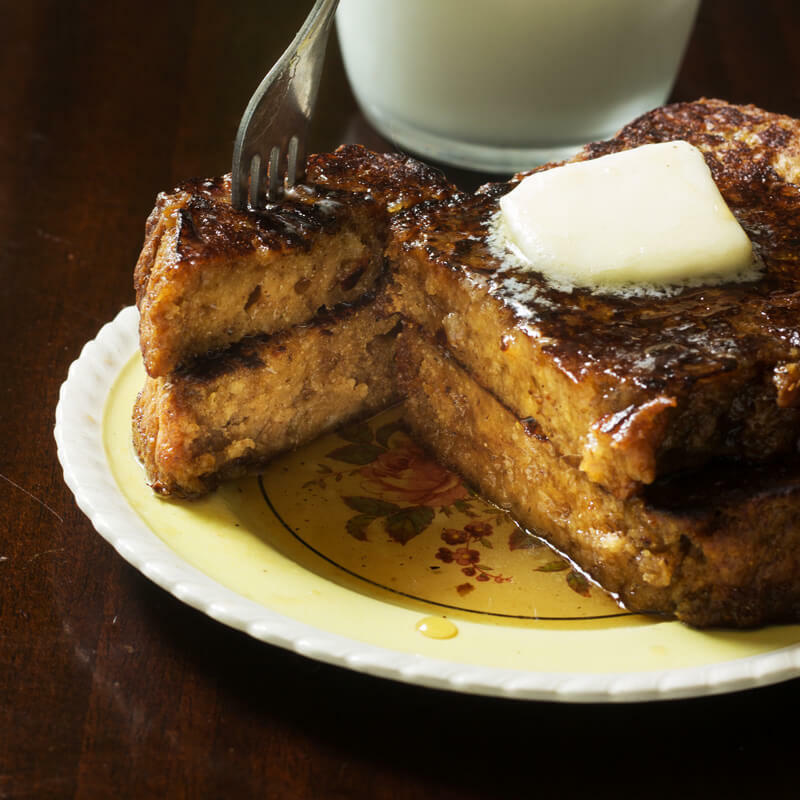 And who doesn’t like french toast?! Thank you. Wow! That looks delicious. Just printed out the recipe to try it out. 🙂 I can’t wait! My husband is going to laugh at me for trying this one–I LOVE banana bread!!! 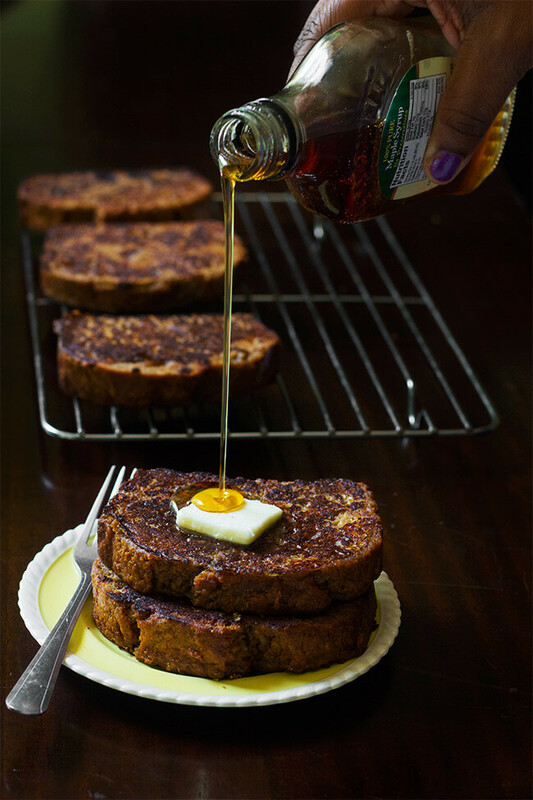 French toast is more challenging to make gluten-free, but this looks like a winner! Great idea to use banana bread! I usually use French bread and add cardamom, allspice, cinnamon, cloves, and vanilla extract to the egg mixture. I’ll have to try the banana bread soon! Sounds great Amanda! I use cardamom in the banana bread too. So good!!!! These look amazing!! What a great idea!! I am seriously contemplating why the HECK I never thought to make this!! Great idea, looks amazing! This is all my grandma’s doing she is a genius IMO! I’m so glad you like it Whitney! Gorgeous photos! This looks amazing. Thank you for sharing! Awesome Chaza! Let me know how it turned out. 🙂 Hope you like it! !